Today’s world of aikido bears the stamp of Second Doshu Kisshomaru Ueshiba more than any other person. There is no other figure who is more influential, not even the Founder Morihei Ueshiba himself. I realize that, for many of the aikido faithful, this will be a shocking statement. Allow me to elaborate. First of all, aikido is a post-World War II phenomenon. Morihei Ueshiba and his fledgling martial art were known primarily in martial arts circles, not by the general public, prior to the war. What has become aikido today has been shaped primarily by the Ueshiba family through the auspices of the Aikikai Hombu Dojo system after 1955. The arbiter of this process of dissemination and the content of Aikikai aikido is none other than Kisshomaru Ueshiba, the Founder’s son. In 1942, Kisshomaru assumed operational control of what would become the Aikikai at the tender age of 21. Morihei had retired to Iwama, World War II raged, and Tokyo would soon be bombed. Kisshomaru was thrust into a leadership position for which he was ill-equipped while a university student. He would continue uninterrupted as head of the Aikikai, the world’s largest aikido organization, until his passing in 1999. The Aikikai was barely functioning as an entity after the war until around 1955. During that period, Kisshomaru was simply attempting to hold the remnants of the aikido structure together until better times, without much thought to the future direction of the art. In fact, he was obliged to hold down a full-time job in a securities company to support himself and the rundown Aikikai dojo. 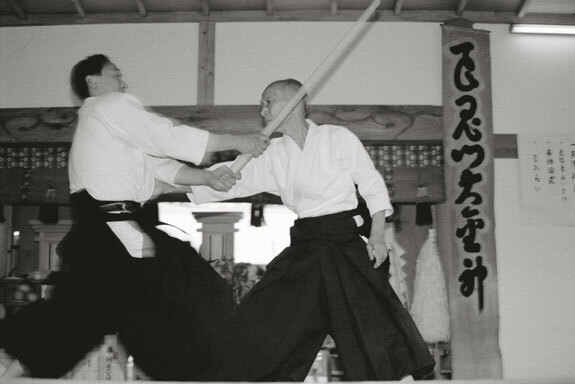 Later on, as aikido began to gather some attention among the general public, it was Kisshomaru, in consultation with a group of elders and peers, who gradually began shaping the policies that would lead to a steady, if not spectacular, growth of aikido. The Aikikai adopted a series of measures starting in the late 1950s that would soon ensure its success. 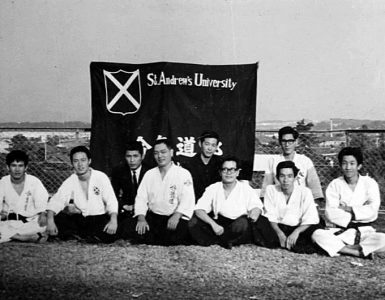 This included the establishment of a growing network of branch dojos, and aikido clubs in universities and businesses all over Japan. Furthermore, the Aikikai dispatched a stream of Japanese instructors loyal to the mother organization to key locations in major foreign countries. 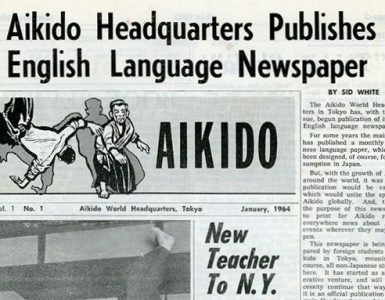 Many of them in turn created large aikido organizations abroad. Kisshomaru and Koichi Tohei also published a series of books in the early 1960s that appeared in English and other European languages. 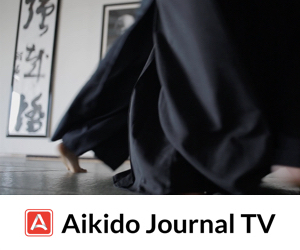 These works presented a technical and theoretical framework of aikido to a worldwide audience and established the Aikikai as the central authority of the art. Although a larger-than-life figure in many ways, Morihei’s postwar role was primarily symbolic, and he was not a decision-maker in the affairs of the Aikikai. O-Sensei was rather irascible by nature and often critical of Aikikai teaching practices. Consequently, he was largely marginalized and encouraged to absent himself from the Hombu. He spent much of his time traveling to meet with friends and students, and at his country home in Iwama. In this way, he would be less of an impediment to the smooth operation of the dojo. Let’s fast-forward several decades later and turn our eyes to the present state of the art. Obviously, I am focusing on the Aikikai worldwide network which dwarfs the many smaller aikido organizations that exist in size and influence. Taken collectively, the Aikikai organization consists of several tens of thousands of schools spread over all but the smallest countries of the globe. To my knowledge, no accurate survey of actual numbers exists, but let us adopt the arbitrary figure of one to two million practitioners to give an idea of the art’s scope. The curriculum followed in these schools is largely based on Kisshomaru Ueshiba’s many technical books issued over a 40-year period. Most were published by Kodansha, Japan’s largest publishing firm, in Japanese and English, and various European languages. Kisshomaru’s son, the present Doshu Moriteru Ueshiba, has continued the unabated production of similar books starting even before his father’s death. The administrative policies of the Aikikai were formulated and fine-tuned by Kisshomaru and his advisers over the years. This includes the dan ranking procedures and accompanying fee structures which constitute the main revenue stream of the organization. In the 1980s and 90s, Kisshomaru developed an accommodating stance toward the acceptance of outside organizations into the Aikikai fold. This included the re-integration of groups that had earlier split with the Aikikai at the time of the resignation of Koichi Tohei in 1974. This is a policy for which he has been justifiably praised. Another sphere of influence in which Kisshomaru was dominant is the shaping of the image of his father, Morihei Ueshiba, for general consumption. Through his widely read biography of Morihei titled in English, “A Life in Aikido,” Kisshomaru set forth an official version of the early history of aikido that has been used as the primary source by many later writers. Furthermore, Kisshomaru recast O-Sensei’s spiritual vision in a language that was accessible to modern Japanese and an international reading audience. This was accomplished by expunging most of the esoteric Shinto imagery that Morihei used in his speeches and lectures. Again, the vehicle was a series of books on Morihei’s aikido philosophy published by Kodansha. In some cases, authorship was even attributed to Morihei himself. Professor John Stevens has translated and edited most of these publications in English. I recall vividly meeting Kisshomaru Ueshiba in 1963 in Los Angeles on his first visit to the USA. At that time, he was a bespectacled 42 year old, with a quiet and unassuming manner. He taught and demonstrated in a matter-of-fact way with little explanation. Nothing about him was flamboyant or overstated. I had periodical contact with Kisshomaru over the next 36 years and watched him transform into a dignified, paternal figure. Within the Aikikai, he became an object of reverence, always to be accompanied by a doting entourage. This august mantle was inherited by his son and present Doshu, Moriteru Ueshiba, and will no doubt be passed in due course to his son Mitsuteru. Morihei had a vast Universal view of the possibility of movement interaction, and human survival that went beyond a few techniques and one that that was not limited, strictured or put into a box of limitations. Indeed survival cannot be so limited. We must never forget that his antecedents used aiki jutsu for survival of life and death circumstances. 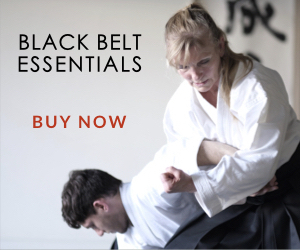 Indeed, so have people of present times been enabled to survive death dealing attacks, some armed, some by multiple attackers, and other anomalous criminal assaults, and survived because of sound training principles imparted by good Aikido teachers, often using the Aikido to enable survival. Evolution is ever changing in accordance to the demands of real necessity. Some people are fortunate that they never meet real necessity to survive life and death so develop an opinionated view of things, and sadly Budo, does not escape this dumbing down. There are cycles where any Budo becomes a mere dance, but serves to preserve the art. These are followed by cycles of dire necessity where too much fire can often be present. All contributors, in some way, serve the evolution of an art. Of course, all contributors in the evolution of an art must be acknowledged and thanked, even if in some ways they drift at a tangent not consistent with the rigours of reality. Each contribution adds value to an art and has merit from the perspective of they reality they experienced, even if limited or or in some ways biased. But we must clarify the definition of what is meant by the Do of Ai and Ki. Is it a health club? Is it a social experience? Is it a way for making money? Is it a political party? Is it a Way to serve and uplift humanity? Can it lessen harm and suffering? Can it make you more complete as a human being? Is it a personal journey of transformation and self mastery? Can it be any of many other things? Perhaps Aikido partakes of all of these attributes and even more. But we must never forget that its original roots are firmly grounded in survival, the nitty gritty defence ability when required. And that survival, true and sustainable human continuance, relies less on fighting than it does in the, “.. co operative, nurturing, caring and protection of life..” These were words used by the Founder himself, the man who, after all, founded the art. The man who was then “…largely marginalized and encouraged to absent himself from the Hombu..” and to “..be less of an impediment in dojo matters..” whatever exactly that means! If Aikido is to have a meaningful “influence” in the world of human beings, then it needs be of this nature and not merely self serving. The main “affair” of any trainee is to train and gain self victory, without which, no value will result. Life on earth is being made more tenuous by man, each day. How is Aikido now contributing to our continuation as a species? How have the various “influential figures” contributed either positively or adversely to thus serving value and humanity towards a better world? At first others…. Now mine…. aikido having lots of techniques, using weapons, atemi etc. I would not normally publish a comment such as this. I have left it as is except for the obscenity. Except for Koichi Tohei, all of those you list are younger than Kisshomaru Ueshiba. It would be interesting for you to elaborate and provide support for your assertions. I stick by my argument as it is based entirely on first-hand information from eye witnesses. Ever heard of Morihiro Saito Sensei? Now, we should all know that he is one of the more exceptional and one of the most loyal uchideshi who lived and served O Sensei until O Sensei’s passing. Therefore, his style of aikido (Iwama Aikido) is the closest thing to the original (O Sensei’s Aikido) since Sensei Saito tried to preserve and pass down the Aikido that was taught to him by O Sensei. You and everyone else for that matter should try Iwama Aikido under Sensei Hitohiro Saito now, experience it and maybe be enlightened. I tried it and it opened my eyes to a whole new perspective. Now to answer the question posted for this topic.. I used to practice Aikikai before. Now I practice Iwama Aikido under Sensei Tatoian & Sensei Supremo… and happy to say.. learning a lot! It’s a very detailed history researched & written by Stanley. You’ll notice that there are discrepancies made by some shihans claiming that they trained under Osensei in Hombu.. after the war O sensei already retired & stayed in Iwama.. so who taught in Hombu? Of course, Kisshomaru & Tohei… unless they attended the sunday classes of O sensei.aiki guy , pls read this link > http://www.aikidojournal.com/article?articleID=34 . You’ll notice there are discrepancy by some shihans claiming they trained under Osensei in hombu..
after the japan war, Osensei already retired & stay in iwama.. so who is teaching in Hombu ? of course Kisshomaru & Tohei … unless they attend sunday class of osensei. Aiki… Some time spent reading Prof Goldbury’s “Transmission” series of articles would give you a more comprehensive look at the historical background of the time period in question. It might give cause for reflection of your position. If you disagree with the positions stated in the article, please outline your opinions and support your arguments. I would be curious what happen to the relationship with Tohei and Kisshomaru and how their either/or thinking created the huge split. When I was retiring from the military, and getting ready to leave Japan, there were a few parties thrown for me. I let people know that my intentions had been all along to learn really high quality Aikido to bring back to Florida and disseminate through the southeast. With the Ryuji Inagaki-Sawa Sensei dojo in Misaki Guchi, when I called it Iwama Style, they most definitely corrected me with waving hands and clear statements that it was not Iwama Style. It was O’Sensei’s style. They were very adamant that everything else was not exactly O’Sensei’s way of teaching. 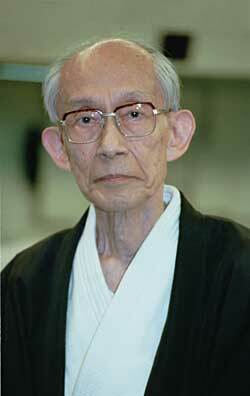 Inagaki-Sawa Sensei was very proud to have grown up in Iwama and to have been promoted to nidan when he was 13. I use a hyphenated name because he was adopted by his wife’s father and those who know him as Inagaki would not recognize the Sawa name. Sawa Sensei was just as committed to O’Sensei as Saito Sensei was. The techniques felt exactly the same as what Saito Sensei was teaching up in Iwama and Hitohiro Saito Sensei was teaching in Yoyogi Uehara which was 3 or 4 stops south of Shinjuku station on the Odakyu Line. My goal in getting the Navy to station me in Japan was to get as close to O’Sensei as I could. With the reaction from these people I was certain that I had achieved that goal. Unfortunately, I could not practice the Iwama Style often enough and Nishio Sensei was teaching on a circuit I could follow on many nights of the week. What he was teaching was also very strong and reliable, but very different in execution. As I progressed, the path to black belt went through Nishio Sensei; there was no particular preference cause I loved both styles. Nishio Sensei held tests regularly and quarterly at multiple locations. That was where I got the most practice, so that was the route I took. I continue to teach my beginners the Iwama Style cause I want them to have that great foundation before I blow their minds with the Nishio techniques. This is a most interesting article and in all agrees with all the information I have been getting from many persons I talked to in Iwama through the years. All of these I talk about had first hand experience of the Founder and of Kisshomaru Sensei. Since I am no historian, I do not have a system for labeling these people. Also some information was from people whose name I never knew or was too difficult to remember and now have passed away. But they were eager to talk about their experiences and leave some information behind. This article and the one “O-Sensei’s Spiritual Writings: Where did they really come from?” may offend many people, this is understandable. But it will only offend those who do not research, understandable, too. Aikido practitioners, specially teachers, should take some time to study, to read, to talk to others seriously and, especially, to listen. Some information we learn about people whom we had such a high ideal of, may compromise our sympathy and admiration for them, but at the same time, makes them human. They are still important to us and to aikido history, but human. That the Founder was a martial genius is not to be doubted, I think. But the art was propagated by others using his name. This is so clear like a summer sky in Lisbon. Mr. Kisshomaru was a hard working man, no credit is taken from him in this. On the contrary! The many times I met him in Iwama he was always polite and quiet. Sensei urged us to have the deepest respect for him. But this quiet person, together with advise of others as well, was the mind behind the way most aikido is practiced today. Everybody should read this article. Certainly an interesting article… I believe your info is spot on. Although O’Sensei’s photo is in numerous dojo, his Aikido is not. I found that out when I was last in Japan and trained with Takenaka Sensei (Hachidan) a student of O’Sensei from 1951 until the founders passing. He received Yondan from O’Sensei and still teaches the “old school” style…somewhat prewar Aikido. He is passionate about not altering what he learned from the founder. Having been involved with Aikido since 1983 and having been to many seminars as well as having some fine Sensei over the years I was stunned by how little I knew when I began training in Kimiidera. Takenaka Sensei is about 80 yrs old and moves like the wind. Being in his dojo was, in my humble experience, as close to O’Sensei as one can get. In a nut shell, his Aikido is as different as night and day from all my previous experiences. BTW, he has very close ties to the Ueshiba family. This article makes a lot of sense. From what I have read about both O’Sensei and his son, this account fits in exactly with their personalities. I understand the resistance to this idea that Kisshomaru was pivotal in spreading and growing Aikido in the world. However, I don’t think the article detracts from O’sensei at all. Considering Morihei’s character, I would guess he couldn’t give a toss about how, where and what happened to his teaching. This is characteristic of most deeply spiritual or somewhat “enlightened” masters. They share what they have indescriminately and trust that the rest will take care of itself. And, as with other masters, followers build up around the teacher and people begin to disseminate the teachings. In history, this has been both fruitful and disasterous. Often followers became dogmatic and lost the essence of what was taught. In other situations, the teachings were carried forward with wisdom and insight. I think the Aikido world was fortunate to have experienced the latter in Kisshomaru. And still I believe that there are many dogmatic people out there in the Aikido world too. The countless political factions of aikido are testimony to that. It is my belief that O’sensei discovered something and called it Aikido. People who learned from him (including his son) built a map to this thing through the art we practice today. It is the same thing that people all over the world point to in the sense of the tao, etc. And for us is the task of rediscovering this unknowable thing. 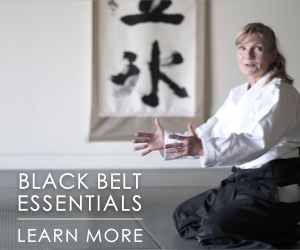 The martial art is one of many ways. And in terms of being martial… it is the immediacy of threat and the edge of life that brings us to a state of deep presence. The same can be experienced in a car accident, when suddenly the world slows down even though it’s happening so fast. I think that is also why in the days of warrior castes we often saw deeply spiritual people emerge from that. So keeping it “real” on the mat is valuable. Yet that awareness/presence can also be discovered in the dance. I think that is also why in the days of warrior castes we often saw deeply spiritual people emerge from that. So keeping it “real” on the mat is valuable. Yet that awareness/presence can also be discovered in the dance. Well, perhaps am I not well aware of the entire world of Aikido, but actually what you describe doesn’t fit with what I see. Perhaps do you have any statistics ? Of course, Kisshomaru Ueshiba played a great role in the dissemination of aikido, but as far as I know his technical role has only been important after the departure of Tohei Koichi (in the 70s), isn’t it ? Practicioners who could refer to his technical lineage seem to have studied with him during the 70s (as C. Tissier), whereas older practitionners refer to other masters, like Shioda, H. Kobayashi, M. Hikitsuchi, K Tohei, M Saito, R. Shirata, K Osawa, Arikawa, T. Abe, S Abe, K. Sunadomari, etc… , all of them weren’t Kisshomaru’s students (were they ?). People who have studied in Aikikai during this period (1950-1970) often refer to these experts, after O Sensei, and rarely to Kisshomaru Ueshiba, don’t they? I would agree with you that Kisshomaru’s technical influence became greater after the departure of Koichi Tohei from the Aikikai Hombu Dojo. If you re-read my article, you will see that I am not limiting my discussion to the period prior to O-Sensei’s death. I am talking about the postwar era as a whole, including the legacy inherited by the current Ueshiba family. Of course, Koichi Tohei’s technical influence was huge during the 50s, 60s, and early 70s. However, keep in mind that Tohei was absent from the Hombu for extended periods due to his teaching in Hawaii and extensive foreign travel. So even then, Kisshomaru had an important role as an instructor at Hombu. If you would like to elaborate more on how you see things, you are more than welcome to do so. I have heard stories about O Sensei seldom being in Tokyo from other sources, and had difficulty reconciling these stories from claims of people being students of O Sensei (usually from zealous students of these teachers who want to defend their connection to the “source” and their teacher’s legitimacy). In a recent interview on a European site, Yamada Sensei tells of O Sensei making infrequent trips to the dojo, and the young Yamada Sensei somewhat frustrated that his workout was being interrupted for a lecture. In medicine, we would credit the person who finds the cure for cancer. We don’t always credit the people who do the grunt lab work, the manufacturing division, those tasked with obtaining research funding and paying the bills to keep the lab open, the sales department, the marketing division, the structure of the overall organization that supported one idea, the janitors and the accountants. The person who discovers the cure will have “stood on the shoulders of giants,” following his educators and the research of people before him, and for every giant a thousand faceless nobodies who played highly important roles. You can find out online who discovered insulin, but not about the millions of people who ensure diabetics get their actual treatment in hand. We don’t seem to embrace the contributions of other Aikido teachers like Tomiki or Shioda or Tohei, nor Daito-Ryu. We don’t seem to want to acknowledge that O Sensei had an education that formed him as a martial artist, we don’t want to believe that he was not a superior business man (after he openly did not succeed in business as a younger man), we want to believe he was in 40 places at once, and we pasteurize his lifestory to avoid asking questions about his humanity. In 1940s and 1950s, Hombu was a building in the middle of a bombed out city being used as a homeless shelter. By the 60s and 70s, an international destination, and a household name, and one dojo of many to an art practiced by likely millions. Someone did a huge amount of work. It wasn’t O Sensei that did that work, nor was it Tohei Sensei. I am proud that my Shodan certificate has Kisshomaru Doshu’s seal on it. You have articulated my thesis very well, Vincent. Thank you. I think understanding the history is one the most important aspects in our study. But if we keep on criticizing, thinking whose Aikido are better than the others, effective or not, dance like or dynamic, Traditional or modified then we may someday end up not being happy for who we are where we at in our Journey. The best thing probably is to nurture what we have, study more if we need to. After all, Aikido does not only limit ourselves to its combative elements, but also is Martial Virtue and a spiritual journey. For me there are more important things to consider especially the Health aspects. 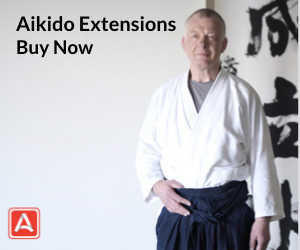 Many of Aikido practitioners nowadays suffer from debilitating diseases such as joint problems, back sprains/pains, obesity, cancers, and others. For these we are defeated as practitioners. No wonder why there are practitioners other than Aikido live longer than us. For they they live in a more simple life. So please make this as a reminders. We study the Martial aspect of the Art, the Virtue and the spiritual if we don’t limit ourselves…but to live longer with good health and free of worries, not being overly conceited, critical of others, be thankful to the people who contributed this great Art and continue our journey for this is an individual Journey. Who is ready to admit that they have been misled? Can we recognize the truth when we are comfortable with what we have been believing in? Hi I’m new to this article, but my problem is why does the black of a non-affiliate school not respected, if train in aikikai or Ki Society or now Iwama dojo seeked out by the yudansha to improve his aikido. I am black belt from Shuseikai an offshoot Yoshinkan and Ki Soceity, but had to wear a brown belt in Aikikai affiliated dojo. Is my dojo lineage inferior?